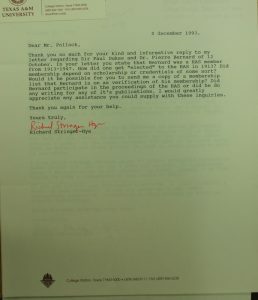 It is with great sadness that we announce the death of Michael Pollock on 27th January 2019. 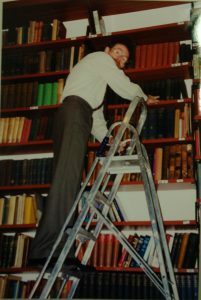 He was a former librarian at the Royal Asiatic Society, moving from the British Library to take up his post here on 11 September 1989, and serving in the position until spring 2004. 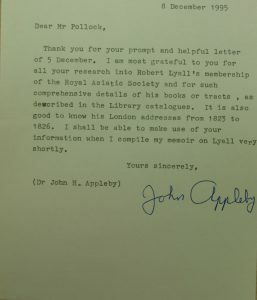 Many of our long-standing Fellows will remember his time at the Society. 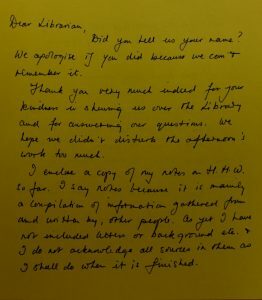 Director, Alison Ohta, writes: “Michael was very proud of the library and built long-standing relationships with many of its readers. 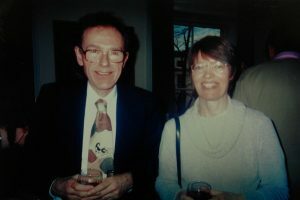 Michael was also a Fellow of the Society and attended events on a regular basis, until recently, with his wife Irene. We offer our sincere condolences to his wife, Irene, and daughter, Katy”. Michael Pollock and Kathy Lazenblatt, both former RAS Librarians, on the occasion of Michael’s retirement. We do express our sincere condolences to Michael’s family at this time. 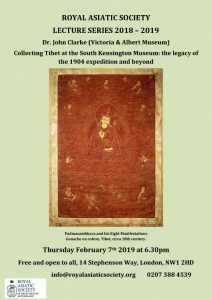 In other news, the Society would like to welcome you to a lecture on Thursday 7th February, 6.30 pm, when Dr John Clarke from the Victoria & Albert Museum will speak on “Collecting Tibet at the South Kensington Museum: the legacy of the 1904 expedition and beyond”.